WORK FIRST – Since the ’90s, many states have been hell bent to Harry to get people to work…no matter what. Welfare is no longer on the table. A tip here: Many people don’t realize that the Good Ol’ U S of A hasn’t offered much in the way of welfare in a long, long time. In polite conversation, I hear the statement: “What they need is a swift kick in the rear to get on somebody’s payroll.” I find it totally amazing that people in this country have been and continue to be comfortable denying assistance to destitute families while offering tax breaks to the wealthy on vacation homes, yachts, etc. The question I have is this: How do people cope? Work first is not always a good option. I regularly see pantry shoppers with family members who would be institutionalized if they weren’t being cared for by the family. The problem is that the family has nothing. So while Helen or Sue or Fred is caring for the ill person, s/he is not able to work. Right now, in our pantry there is an older couple…he’s obviously a loving caregiver. This man might be able to work were it not for his very ill wife. Another woman shops regularly with a very mentally ill family member. This young man cannot be left alone…not even for a few minutes. While the sick/handicapped family member is being cared for at home, the state is paying little or nothing. So, the family is in desperate financial straits because of a very ill family member. One day, someone in this family is going to realize the situation and then our state’s bill is going to increase significantly when the ill person is institutionalized. I’m suspecting at least some of these people are very willing to care for the ill/handicapped family member because there are no jobs out here. When a job comes along, the person will be working and the state will be paying a very hefty bill for the institution. Wouldn’t it just be better in the long run to pay the family a stipend in lieu of the institution? Work first is an interesting philosophy when there are no jobs. Poor quality childcare will kill a job faster than anything. When a family exists below the poverty level, there is no $$$ for childcare. So, the children go to grandma’s, or the neighbor down the road…or stay home alone. not having the $$$ to fix the car when it breaks down. A lot of networking is done in pantry lines for a mechanic to keep the family wreck on the road. Literacy issues and lack of work experience are barriers to employment. In our area, there are some illiterate people. Until a person has a job, it’s difficult to get a job. So…it can be very challenging to find the first job. I know young people working for free in hopes of finding something that will pay. Then, one day, they get something part time, off the books! The next step up the ladder is to graduate to half on/half off. Then, finally, hurray! A job finally happens which is on the books. A job with benefits is often beyond the dream of a person in our area. Then, of course, we have the taboo subject: domestic violence. At the poverty level, domestic violence is simply not discussed. Domestic abuse contributes to poverty. A woman cannot escape an abusive situation without $$$ and right now there’s not much of that around. addressing this tragic situation because it is prevalent in our society. Please refer this article to your preferred social media network. Peace and food for all. If I’ve had this conversation once, I’ve had it a dozen times over the past few months. So, here for all the world to read, is the bald truth. The Reservoir Food Pantry is not closing. Actually, we’re growing like a weed. Every Monday morning Prasida and Francine go to Latham and return with all the produce they can haul back in our long line van. They, Bob Overton, Garrett O’Dell, and Susanne Traub put it out on tables and serve it to the shoppers. By 4:00, there is usually none left. Fruits, vegetables, pies, cakes, meat, fish, yogurt, eggs, …it’s all gone. We serve about 100 families every Monday afternoon at 2:00. On Tuesdays and Fridays we deliver food to another approximate 50 home bound households. We have an annual mailing in which we ask the community to support us financially in our efforts. We are at the entrances of the Kingston Walmart one weekend every month asking shoppers to help us feed the hungry. Every other month we are at the entrance to the Boiceville IGA on a Saturday as well. We recently opened a Capital Building account at the bank. We are actively involved in disaster preparation activities. The volunteers of the Reservoir Food Pantry are a group of committed individuals focused on feeding the hungry as a way of celebrating the amazing abundance which is available in our country. Only in the good old U S of A could there be this much food available…just for bringing to pantries. an environmental effort as we intercept food bound for the landfill and bring it to the pantry for distribution. working together to feed the hungry. looking for a larger space that is located above the flood plain. 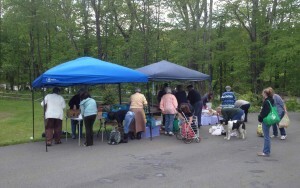 extremely grateful for the opportunity we have to feed the hungry in the Ashokan Reservoir area. It is an honor and a pleasure for us to be in Boiceville in the little red shed behind Robert’s Auction. Thanks for reading this blog. I hope you found this article helpful. Please leave your comments below and check out other blog posts. An Open Letter to Senator George A. Amedore, Jr. Senator Amedore, I have thought exactly the same thing many times as I distribute a 3-day-supply of food to seniors who don’t have enough $$$ to buy sufficient food with their social security checks. On behalf of the seniors from your district shopping at food pantries, I thank you for including these services in your budget. One thing missing in the lineup was any reference to food. This omission is entirely understandable. No one but the seniors understand what a struggle food is for this category of people in our population. Grocery shopping for the elderly is difficult under the best of circumstances. Getting to the grocery store can be challenging for older people – especially for those living in a food desert. Getting around in the parking lot and going up and down the grocery store aisles is no fun anymore. And, when they can’t find what they need and afford, they have to maneuver the muddy parking lot and the scary entrance ramp of our pantry. And…we haven’t even discussed the packages yet. They’ve got to be gotten home and in the kitchen. Finally, getting high quality, affordable food is more and more difficult as the days go by. And, it’s even more difficult for those seniors who no longer drive or own a working automobile. In Ulster County, many seniors residents living in rural areas of the county live in a food desert and are miles from a grocery store offering fresh fruits and vegetables. Volunteers at the Reservoir Food Pantry deliver food packages weekly to approximately 40 households composed of transportation challenged people…many of whom are seniors. Some of these people have no working stoves in their homes. Many seniors in our pantry line would certainly qualify for SNAP – even in it’s current reduced condition. However, they lack the wherewithal to get qualified. For one thing, it’s a good half hour down Route 28. For another, they are sometimes afraid. They’re afraid of the forms, the humiliation of being unable to survive on their own in the last years of their lives. They are afraid of the long wait in a building they may not even be able to find. In short, they find the whole process threatening. Seniors struggle for food. Actually, they struggle for what I call “the Big 3”: food, housing, and medical expenses. Forget the extras like clothing. Many seniors get less, pay more, and go without. When seniors don’t get enough to eat (and many do not), they have a tendency to get sick which creates a hardship for their children and grandchildren. 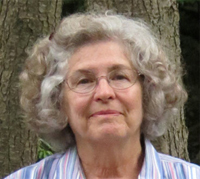 Healthcare costs can be devastating, even to a senior with Medicare. Once a person comes down with cancer or other major disease, the pocketbook empties pretty fast. In the past, food pantries focused on shoppers in a specific location. We now serve the people who can get to us during our open hours. At Reservoir Food Pantry, fresh vegetables are important. We recently scrounged $$$ together and bought a used long line van which volunteers drive weekly to Latham for as much produce as we can bring back. We routinely run out. Our situation is precarious, Senator Amedore. We joke that we’re teetering on homelessness ourselves because we’re housed in a shed on a flood plain. The shed is fine. 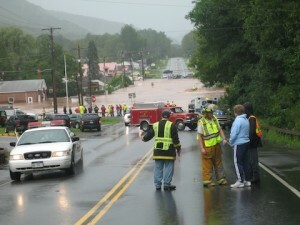 We’re desperately trying to find a place to move it to so we’ll be out of the flood plain. So far, we’ve had no luck. -But enough of our woes, Senator Amedore. Thank you for including me in your mailing list. Thank you for the work you are doing for seniors in New York State. Thank you for sharing. When you’re in your Kingston office on a Monday afternoon, you have an open invitation to visit our pantry. 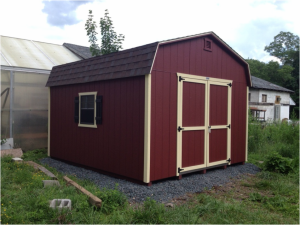 We’ll be honored and pleased to show you around our 12’x16′ shed. We serve over 140 households weekly from this shed. Most of them are seniors. We do hope you’ll come. We promise the tour won’t take long because our pantry is small. However, the photos will be many and the seniors will be grateful. P.S.-If you ever need any human interest stories, I have many, many, many, and I’m happy to share. I hope you found this helpful. 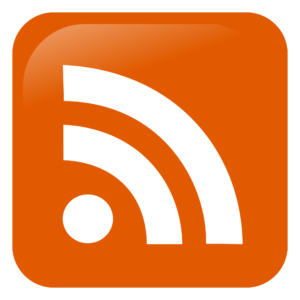 Please leave your comments below and check out the other blog posts. Food Pantries feed the hungry…and very successfully at that, actually. After all, there are very few stories right now about starving people dying in the streets. We Food Pantry volunteers can pat ourselves on the back for that, at least. But, so much more happens in a Food Pantry beyond feeding the hungry. For starters, thousands of volunteers are kept gainfully occupied and off the streets as we (wo)man the pantries. The United States Department of Agriculture disposes of thousands and thousands of pounds of surplus foods every year in Food Pantries. Unfortunately, though, the USDA seems to have a somewhat embarrassed attitude about the distribution of agricultural surpluses. Anybody who thinks about it quickly realizes that it’s impossible to grow just exactly what we need every year. It’s much better to have too much than too little. So, the USDA needs the Food Pantries to dispose of this surplus. Sure beats hauling it off to the landfill. Thank you USDA! I just wish you felt better about the job you do. grocers avoid dump fees, discourage dumpster divers, accrue tax savings, and tell the world about how many thousands of dollars they donated to feed the hungry. Churches throughout this country feed the hungry in Food Pantries located in their basements. That is, all except for the famous St. Gregory’s Episcopal Church in San Francisco where Sara Miles put the pantry on the altar. She subsequently wrote a book about it entitled “Take This Bread”. I hope you get a chance to read it. Congregations label their Food Pantries as outreach but I don’t buy into that concept. What we’re all doing, really, is celebrating the enormous abundance existing in this country…in this world…on this planet. 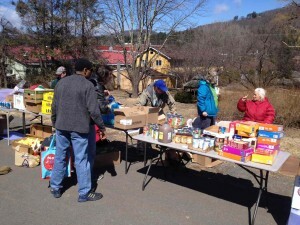 Environmentalists use Food Pantries to divert food bound for the landfill. It’s amazing when you think about it. Several million people in our country are prevented from starving to death when they shop at a Food Pantry and take home produce, dairy products, meats, baked goods, shelf staples that would otherwise have ended up at the landfill. Schools throughout our fair nation distribute food to children to take home on the weekend. The Backpack Programs offer food to children who have none in their households. It’s a real ego trip for whole segments of our society. Everyone feels all warm and fuzzy about food donated to Food Banks. This includes farmers, grocers, food manufacturers, restaurants, bakers, religious and civic institutions feeding the hungry, and, of course, the people who read the stories about the generosity of these businesses. This warm and fuzzy feeling we all get when we realize which businesses are contributing to feeding the hungry rubs off positively on Food Banks. They, thankfully, are very influential charities as a result. Food Banks rank right up there with hospitals, the United Way, and the Y. And, it’s all good. Food Banks need the $$$ to keep the whole industry going. The demand for the food keeps growing and growing because the minimum wage jobs don’t pay enough $$$ to allow workers to buy groceries. SNAP benefits get whittled away each year. There’s not much left except the Food Pantry. Thank you for reading this blog/book. This book is simply the story of how I discovered hunger in a church basement. It’s a tribute to those in our country who don’t have enough to eat, and to those in our country who help the hungry get the food they need to survive. These stories took place in a food pantry in the most famous little town in America. But, don’t be deceived. They are much bigger than the Good Neighbor Food Pantry, and they certainly are bigger than Woodstock, New York. The real creators of this book are the individuals and families who shopped at the food pantry week after week after week. 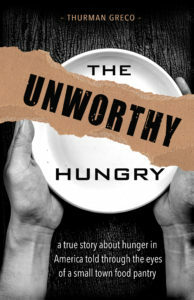 “The Unworthy Hungry” tells the story of everyone brought together by the pantry: alcoholics, artists, child abusers, children, crazies, the disabled, druggies, drunks, elderly men and women, hardworking people juggling two and three jobs, homeless, mentally ill, messed-up people, ministers, musicians, normal people, people battling terminal illnesses, politicians, schizophrenics, thieves, veterans, volunteers, Woodstock’s colorful characters, writers. When you read this book, you’ll become intimately involved with the rules surrounding the feeding of the hungry, the economy of hunger, the biases of people about pantries, and the taboos of money. You’ll get up close and personal with the politics of hunger. This book tells a story you’ve never had the opportunity to read before. My mission is to inform people about hunger in America by writing articles, a blog, and books. Learned in running a successful business. But, I didn’t learn all the skills necessary to run a pantry. In the pantry I got up close and personal with the politics of hunger. As the coordinator of the Good Neighbor Food Pantry during the time that the economy tanked in 2008 and beyond, I, along with many volunteers, served groceries to people as the weekly shopper census rose from 25 people weekly to 500 people weekly. This chronicle explores those events. In order to do justice to this saga, I learned facts, figures, issues, motivations, outlooks. Whenever possible/practical I reviewed the conversations with people who could help reconstruct events, chronology, and dialogue. Based on these reviews, some of the incidents as well as certain events were compressed, consolidated or reordered to accommodate memories of everyone consulted. All dialogue is as accurate as possible to actual conversations that took place, to the best of my memory. The names of some of the characters (mainly the shoppers) were changed. The names of some of the characters were omitted. This memoir was edited and rearranged over many drafts in an effort to be as accurate as possible. If you read a sentence, page, paragraph or even an entire blog post that you feel is outrageous or untrue, it is nonetheless very real. Everything written in this book/blog actually happened. It’s my story. This book/blog is dedicated not only to the shoppers at the Good Neighbor Food Pantry in Woodstock, NY, but to the people who shop at food pantries all over the country. You are good, decent people working hard to survive against all odds. To me, you are the face of God. This book is also dedicated to all the volunteers: those from the congregations, as well as the community. Without you, I would never have had a story to tell. Thank you. I haven’t had so much fun in 40 years. Many people helped write this memoir. The real creators of this book are the wonderful people who shopped at the Good Neighbor Food Pantry week after week after week. These individuals and families offered us all an opportunity to heal and grow. Without you, none of us would have even had a reason to be in the building. 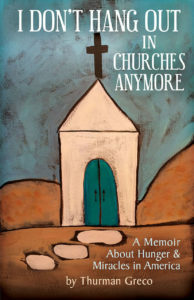 The majority of the events described in this memoir took place in the basement of the Woodstock Reformed Church where the pantry room, the storeroom, and the hallway are located. Thank you, members of the Woodstock Reformed Church, for your generous donation of this space for feeding the hungry. I’m grateful to everyone at the Food Bank of Northeastern New York and the Food Bank of the Hudson Valley for the support and training they offered as I traveled down this incredible path. The Hunger Prevention Nutrition Assistance Program offered needed guidelines to ensure that people did, indeed, receive the food they needed to live and function in this culture. Thank you for your mandate of a minimum 3-day supply of food for each and every person. Thank you for insisting that pantries offer client choice. Thank you for having policies insisting on fresh produce and frozen foods. Thank you for your commitment to nutritious foods. And, I offer a sincere “thank you” to the residents of Woodstock and elsewhere who showed your support of the mission by sending checks, giving fundraisers, offering verbal support, and donating money to the Sunflower Natural Foods Market every month to honor the pantry. Whenever times were tough, your generosity and support reminded me that feeding the hungry is, indeed, the right thing to do. Thank you Richard Spool, Rich Allen, and Guy Oddo for putting Miriam’s Well together. Thank you to Prasida Kay for making all those trips in Miriam’s Well. Those were wonderful, beautiful, delicious days that I’ll never forget. 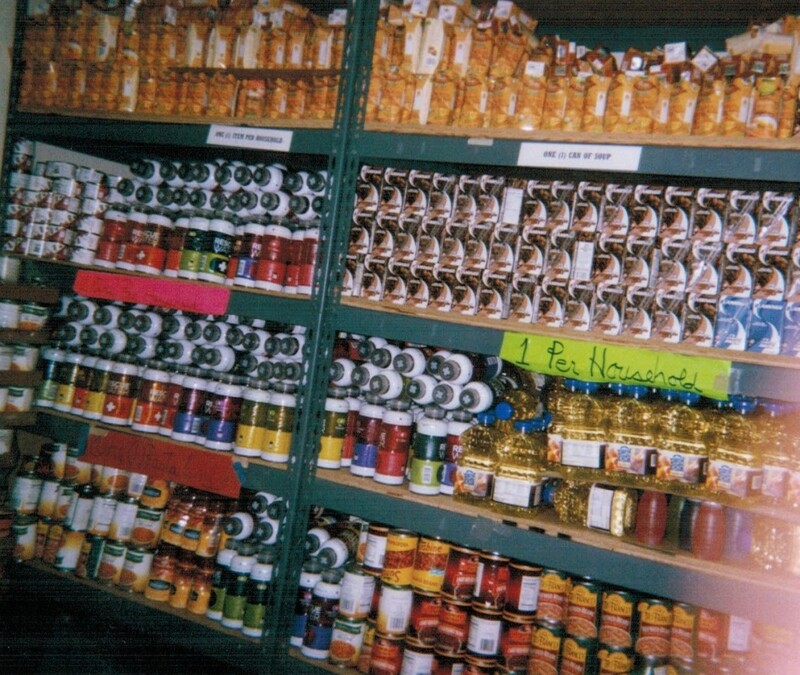 All of our pantry volunteers, over the years, offered me much spiritual growth. A special thanks goes out to each and every one of you. All of you gave 110%. Thanks goes to Barry, who stuck by me with very few complaints. He went to the dump weekly in addition to the trips made in Vanessa by myself and the other volunteers. He went to Hurley Ridge Market for produce every Tuesday morning and brought six to ten boxes of beautiful produce, bread, and pastries to the pantry. He helped stock shelves when the Anderson crew was unavailable. He drove me to Latham weekly for many months on Fridays and helped load the 1000 or so pounds of canned/boxed goods which I ordered on the Wednesday before. He occasionally participated in the monthly food caravan, helping to bring the food over from Kingston. He made sure Vanessa always had gas, regular oil changes, inspections, needed repairs, etc. He never once complained about these maintenance costs. He was a strong fan of my efforts. However, his support was definitely not 100%. At one point he told me that my job was impossible. “Not even a Marine Drill Sergeant would take on the job of coordinator at the Good Neighbor Food Pantry.” He said once with feeling. He finally put an offer on the table: The day I walked off the job, he would finance a 90-day trip, wherever I wanted to go. I chose this book instead. What a wonderful gift! He was also strongly against a public meeting with the pantry denigrators. He felt I shouldn’t participate in the planned spectacle. Once he extracted a promise from me that I wouldn’t meet with them, he prepared a special treat for me of homemade cream puffs. (My favorite – totally made from scratch.) They were delicious! I took some of them to a board meeting and offered them to all the board members. They devoured every one. Life does have its little humorous moments. Right? The blog, www.reflexologyforthespirit.com, is a blogged book. It has information for everyone seeking a healthy lifestyle. It’s focus is the spirituality of health. 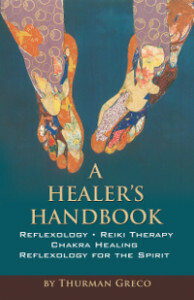 Used primarily as a textbook for my reflexology students, it offers valuable information for the reflexologist ready to move beyond mechanical reflexology to a more spiritual level. ENJOY! The blog, www.goodmorningwoodstock.com, is a collection of true stories about the people who make up this world famous town. Each post sheds light on the attitudes of the residents. The events in each post reveal how this community maintains its reputation. Each story is real. I don’t have the imagination to make this stuff up. The blog, www.sugarsecurity.com, sheds light on the universal human need for protection, safety, self defense as we cope with fear an emotion shared by all but the Sociopaths.